May 15, 2017, 10:19 a.m.
By Heidi Tworek May 15, 2017, 10:19 a.m.
Did “sinister” emotional manipulation by the data analytics company, Cambridge Analytica, decide the U.S. election? History suggests otherwise. After the election, one company claimed the credit for engineering Trump’s victory: Cambridge Analytica. The company stated that it had analyzed Facebook along with other publicly available data for around 230 million Americans and combined this with individualized psychological profiling to provide personalized advertising and promote turnout to Trump’s rallies. Alarmist accounts see the company’s use of social media data, computer learning, and psychometric targeting as terrifying new inventions in electoral campaigns. These fears are amplified by the company’s backers: it counts the mysterious Mercers amongst its investors. There are many important questions. Some of these have triggered two ongoing reviews in the U.K. into whether Cambridge Analytica breached data protection rights during the British referendum on EU membership or provided impermissible services to the Leave.EU campaign. But one answer is clear: Fears of mass manipulation by new media are as old as mass media themselves. Almost every expansion of media or new media technology provoked paranoia about the contagious emotions of “the masses.” The history of these recurrent claims should make us more skeptical of apocalyptic visions of how psychometric targeting will mislead the crowd. The importance of crowds in politics goes back at least to the Romans. In modern times, 19th-century French polymath and doctor Gustave Le Bon provided the most influential account of crowd psychology. Published in 1895 in French and almost immediately translated into English, Le Bon’s The Crowd: A Study of the Popular Mind portrayed individuals as almost infinitely susceptible to suggestion once they were ensconced in the anonymity of a crowd. Le Bon tapped into a broader fear in the late 19th century that the spread of mass urbanized newspapers could incite the new industrial working class who had moved en masse into the cities. The widespread metaphor of “the reading crowd” became linked to broader cultural fears of group contagion and hysteria. Le Bon’s work inspired myriad figures, including Freud, Mussolini, Lenin, and Hitler, but also many American progressives in the early 20th century. Lots of fin-de-siècle figures obsessed about how the unconscious contagion of ideas circulated through crowds. Like Le Bon, these elites offered a circular argument about the press’ influence on the crowd: the press simultaneously caused attitudes amongst the crowd and reflected the opinion of the crowd. Current reporting on psychometric testing falls into the same logical fallacy. Psychometrics can apparently both measure people’s personalities and then manipulate them; psychometrics can simultaneously cause and reflect beliefs. New technologies could inspire similar unfounded fears. The classic example is Orson Welles’ radio adaptation of an H. G. Wells novel from 1898 about a Martian invasion of earth called War of the Worlds. Aired on October 30, 1938 as a special on the night before Halloween, the broadcast told the story through news bulletins purportedly interrupting scheduled programming to detail Martians landing in New Jersey. But this version is a myth. Cantril massively exaggerated how many people panicked or took specific actions like packing bags or fleeing home. He had selected interviewees for their severe reactions to the program, rather than trying to contact a broad spectrum of listeners. The newspaper accounts too have been debunked. They used highly anecdotal accounts to claim the next day that the broadcast had inspired mass panic. Listeners seemed mostly to understand the program. Only a few hundred people called local newspapers and local radio switchboards, the police or fire stations to ask whether the broadcast was true. Ironically, Americans who heard second-hand or third-hand accounts of the broadcast were much likelier to panic. Even that was more isolated than the myth would have us believe. So why would newspapers report panic? Partly, journalists bought into the belief that the relatively new medium of radio could more easily inspire emotions and mass panics. The subsequent debunking of the War of the Worlds myth has not stopped scholars, politicians, and journalists from believing in new media’s ability to manipulate and create panic. Political scientist Eugene Burdick’s novel of 1964, The 480, imagines an election campaign where computer simulations of groups in the American electorate manipulates voters and enables the rise of a charismatic outsider, John Thatch, who is infected with the “political virus.” Burdick worried about “a benign underworld in American politics” of computer scientists and technicians who meant well, but might unintentionally undermine democratic institutions. Now with Cambridge Analytica, we’re back to the old new vision of crowd psychology and mass psychosis popularized by Gustave Le Bon in 1895. The hard evidence for Cambridge Analytica’s influence is dubious at best. The company initially worked on Ted Cruz’s campaign and only transferred to working for Trump after Cruz withdrew. One skeptic, Dave Karpf, has described Cambridge Analytica as “the Theranos of political data” — excellent marketing with little hard evidence in public to back up the marketing claims. A panoply of factors decided the American election. A focus on one factor affecting one candidate’s campaign carries the danger of obscuring everything else. Human beings are programmed to see what’s focal as causal. Cambridge Analytica has successfully marketed itself into focus. But we would need much more information to know if its techniques were causal. There are indications that the Trump team did not even use Cambridge Analytica during the last weeks of the campaign. 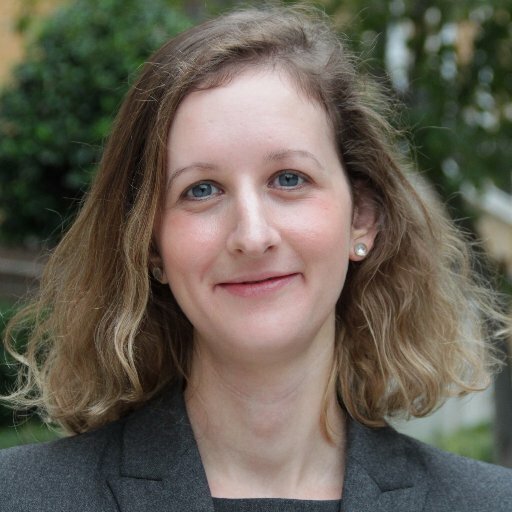 Heidi Tworek is an assistant professor of history at the University of British Columbia and a fellow at the Transatlantic Academy of the German Marshall Fund of the United States. POSTED May 15, 2017, 10:19 a.m.
Tworek, Heidi. "Cambridge Analytica, Trump, and the new old fear of manipulating the masses." Nieman Journalism Lab. Nieman Foundation for Journalism at Harvard, 15 May. 2017. Web. 20 Apr. 2019. Tworek, Heidi. "Cambridge Analytica, Trump, and the new old fear of manipulating the masses." Nieman Journalism Lab. Last modified May 15, 2017. Accessed April 20, 2019. https://www.niemanlab.org/2017/05/cambridge-analytica-trump-and-the-new-old-fear-of-manipulating-the-masses/.